Prevention is the best defense for your smile. Trust Dr. Joseph Zolinski and his dental team for your regular appointments and cleanings, and enjoy a lifetime of lasting oral health. Don’t wait for problems to appear before you seek dental care. 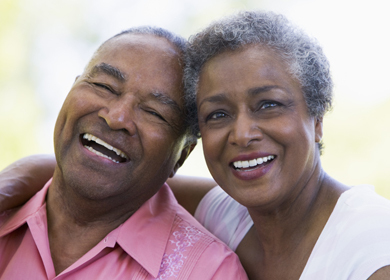 Keep your smile healthy with preventative care from Dr. Zolinski. If you are experiencing any of the above symptoms, don’t wait! Call Dr. Zolinski’s office immediately for an evaluation. With proper treatment, you can be back on the road to optimal oral health. Like any parent, you worry about your child’s health. Don’t forget about their oral health as well! Did you know that the American Academy of Pediatric Dentistry recommends you take your child to the dentist by his or her first birthday? While that may seem a bit early for your child to receive dental treatment, it’s important to remember that baby teeth are essentially place-holders for the adult teeth to come. A lifetime of happy smiles starts at year one. 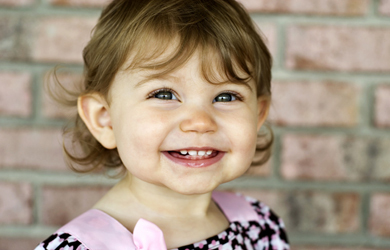 Schedule your baby’s one year-old dental appointment with Dr. Zolinski and give your child a healthy start. When significant damage occurs to the nerve tissue inside your tooth, a root canal procedure may be necessary. While this routine procedure has a scary reputation, there’s no need to fear. Dr. Zolinski uses advanced technology and modern techniques to ensure a quick and painless process. In fact, because nerve damage can be very painful, your root canal procedure will relieve your symptoms, leaving you with a lasting restoration. If you’re experiencing tooth pain, don’t wait! Contact Dr. Zolinski today for an evaluation. It is always Dr. Zolinski’s goal to preserve the existing structures in your smile. However, there are cases where the best course of action is to extract a tooth. If you have extensive decay or damage to a tooth and require an extraction, the dentist will utilize the most advanced technology and techniques to ensure a painless procedure with minimal recovery time. Once the troublesome tooth has been pulled, Dr. Zolinski will discuss further treatment options to restore your smile. Trust Dr. Zolinski to repair your tooth with a filling when decay is threatening your healthy smile. This routine procedure is completed by the dentist removing the decayed portion of the tooth and filling it with inert material. Your smile will look and feel as good as new with a filling from Dr. Zolinski! Every hour, someone dies from oral cancer, a disease that affects 41,000 new Americans per year. As with all cancers, the key to successful treatment is catching the disease early. For this reason, Dr. Zolinski is committed to providing you with an oral cancer screening. This potentially life-saving procedure can help increase your chances if you are diagnosed. In fact, 90% of oral cancers can be cured with early detection. Trust Dr. Zolinski to perform a regular oral cancer screening and have greater peace of mind. Chipped, cracked, or broken teeth can all occur due to nighttime tooth-grinding. If you are experiencing unexplained damage to your teeth, or if you often wake up with a headache, tooth pain, or a sore jaw, you may be grinding your teeth while you sleep. Prevent the pain and damage of nighttime grinding with a custom fit nightguard from Dr. Zolinski. This removable device will be built to comfortably fit around your teeth, protecting them from the damage associated with grinding. Ask Dr. Zolinski or a member of his team if a nightguard is right for you. HAVE THE SMILE YOU DESERVE. FORMULAS TO WHITEN YOUR SMILE.